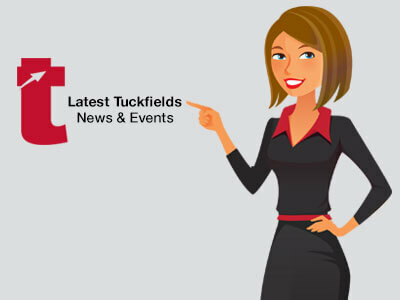 Blog: Why is Tammy Edwards conveyancing business called Tuckfields? Why is Tammy Edwards business called Tuckfields? Why is Tammy Edwards’ business called Tuckfields? – this article is dedicated to the man behind the name, Allan Tuckfield, and explains how “Tuckfield Conveyancing” came to be. Allan Tuckfield started his conveyancing practice in Adelaide over 50 years ago, then called “AD Tuckfield & Sons”. His intention was for his practice to be handed down to his sons, however, his sons’ lives took them on different paths. Allan was very well known in the conveyancing industry. He was known as “the man who wore a tweed hat” to the Lands Titles Office settlements’ room every day. He had a quiet demeanor and did not cause a fuss within the industry. He just simply got on with it. In 2005, Allan was ready to retire. Subsequently, he advertised his business for sale in the local paper. Around the same time, after reading “Rich Dad Poor Dad”, Tammy decided to leave the world of employment. She was ready to become a business owner. Tammy had been in the conveyancing industry for many years and had established a large client base, and felt ready to take the next step. Tammy saw her opportunity with Allan’s business and grabbed it. Although Allan had worked primarily on his own, Tammy saw the potential for expansion. She had a great ‘feeling’ as she entered his office, and believed she could grow his business into something special. By utilising her already established network, and continuing the exceptional service to Allan’s existing client base, Tammy knew she could make the business even more successful. Allan’s vision for the business saw his clients signing their transfer documents over a nice cup of tea. He wanted to know them by their names, not by a number. His focus was on “good old-fashioned customer service”. Intuitively, Allan could see that Tammy would look after his clients and business just as he had, thus allowing his vision to prevail. Whilst Tammy didn’t continue with the “AD Tuckfield & Sons” name, she wanted to stay true to the original values that Allan had maintained. He had established a successful business, and Tammy respected what he had achieved after 40 years of hard work. In fact, Tammy seriously considered using Allan’s trademark “tweed hat” in her logo at one point, in reference to the man who started it all. However, the name was decided upon and registered, giving rise to “Tuckfield Conveyancing”. What is Allan Tuckfield up to now? Allan is enjoying retirement and continues to wear his tweed hat. Tammy has always welcomed Allan to visit Tuckfields at any time. Remarkably, to Tammy’s surprise, he recently did. It was a special moment for Tammy to see Allan after almost 14 years. Allan left the office smiling, as he could see that although the name may have changed slightly and the team has grown significantly … his vision for “good old-fashioned service” has endured. In summary, the name of the business is not Tammy’s own moniker. 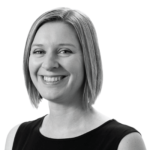 By keeping the “Tuckfield” name, she has paid homage to the business’s roots, and to the man who had faith in a girl with a dream of owning her own conveyancing business. And it so happens that Tuckfield’s clients are still signing their documents over a nice cup of tea, and the business is renowned for their customer service; their clients are never “just a number”. If you know someone buying or selling that could do with some good old-fashioned service, feel free to contact our office. We would love to help. PreviousPrevious post:Tuckfields commitment to providing a positive work culture shines throughNextNext post:Part D of the Form 1: to sign or not to sign?